The Peters Township Education Foundation will annually accept applications from Peters Township School District staff members for projects, programs, or materials designed to promote the education of students within the District. GEO Grant applications will be reviewed by the Foundation’s Board of Directors and will be awarded in January of each calendar year. New for 2019! The Foundation will now accept applications throughout the school year. Awards will only be granted each January, but staff members may submit applications throughout the school year and summer break for consideration. We recognize that writing a quality grant is a time consuming process and we want to allow flexibility for the staff. 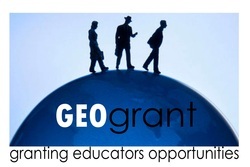 The Peters Township Education Foundation is proud to announce the winners of the 2019 GEO (Granting Educators Opportunities) Grants. This year, the PTEF will provide $10,794.18 in funds to support classroom projects. Mr. Antonelli and Mr. Orend will receive funding to construct and manage a greenhouse for the high school. Students in the Horticulture Club will work together to construct the greenhouse and take care of the plants. Future work by the club could be funded through plant sales etc. Mrs. Stouden will receive a Sharp AQUOS Board for the Middle School Library. The mobile and interactive board will be used to increase student involvement in lessons and to make better use of the flexible learning space in the library. Mrs. Owens will receive funding for an author to visit McMurray. Students will have the opportunity to engage in the writing experience with an author. In addition to assemblies and small group events, Owens will provide books and lesson ideas for the teachers related to the story. Dr. Conkle will receive headphones for her classroom to facilitate career research for the students. The students often use interactive video based software that can be challenging to hear when used by the entire class. Mr. Scaglione will receive pedometers and heart rate monitors to support the Morning Milers club at the school. Students will track and record their steps and heart rate at the end of each session. The program supports the Kids of STEEL Marathon and encourages healthy habits in our students. Mrs. Byers will receive funding for classroom games and tools to support students with ADHD. The tools will help students to better focus during lessons, develop skills for maintaining attention during independent tasks, and work cooperatively with others. In the past seven years, the PTEF has provided more than $65,000 in funds to support education at all levels in Peters Township. We offer our congratulations to this year’s recipients and our thanks to everyone who has supported the efforts of the PTEF to make this a reality.